In a wok or large sauté pan over high heat, season and stir fry the chicken and garlic in the oil until almost completely cooked. Remove the chicken from the pan and set aside. 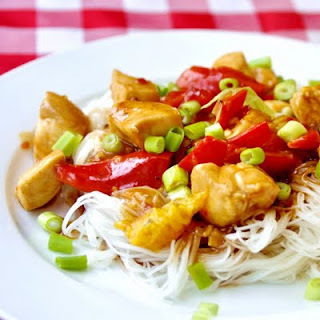 Serve over rice noodles and garnish with fresh chopped scallions.